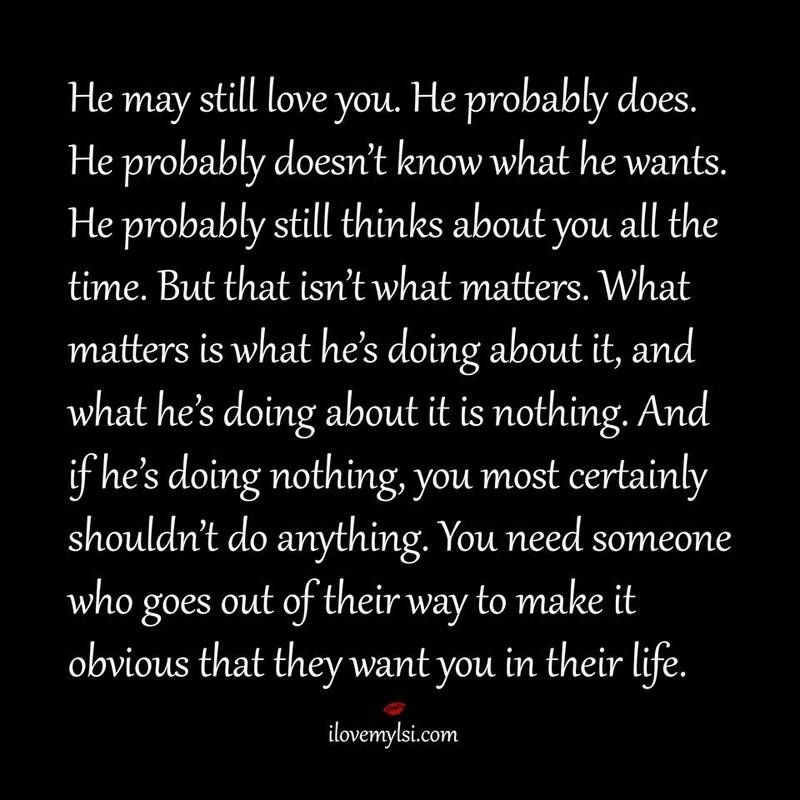 He may still love you. He probably does. He probably doesn’t know what he wants. He probably still thinks about you all the time. But that isn’t what matters. What matters is what he’s doing about it, and what he’s doing about it is nothing. And if he’s doing nothing, you most certainly shouldn’t do anything. You need someone who goes out of their way to make it obvious that they want you in their life. Should You Still Go After “The One That Got Away”?